5. 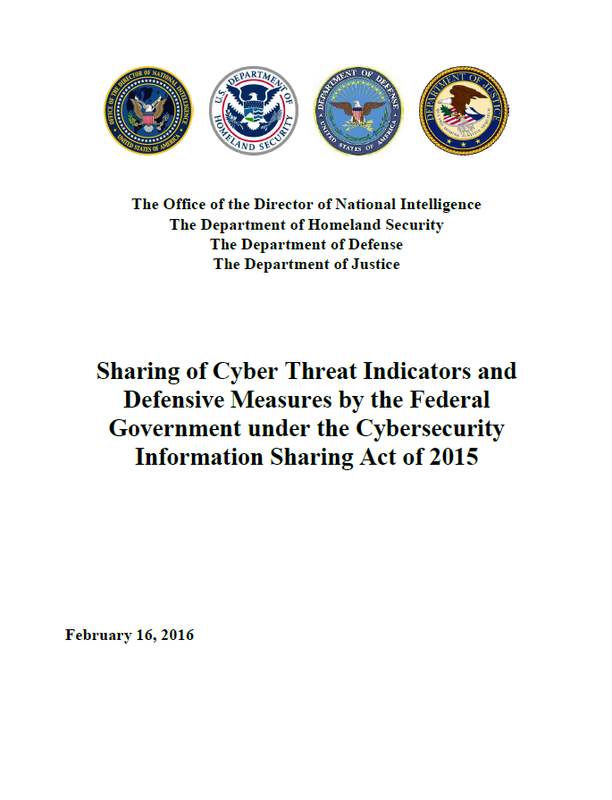 Periodic sharing, through publication and targeted outreach, of cybersecurity best practices that are developed based on ongoing analyses of cyber threat indicators, defensive measures, and information relating to cybersecurity threats or authorized uses under this title, in the possession of the Federal Government, with attention to accessibility and implementation challenges faced by small business concerns (as defined in Section 3 of the Small Business Act (15 U.S.C. 632)). The procedures outlined in this document describe the current mechanisms through which the appropriate federal entities, as named in Section 102(3), share information with non-federal entities. Examples of non-federal entities are private sector entities and state, local, tribal and territorial (SLTT) governments, including owners and operators of private and public critical infrastructure. These procedures are implemented today through a series of programs, which are described below and provide the foundation of appropriate federal entities’ cybersecurity information sharing capability. These programs are dynamic and are expected to grow or evolve over time.2 That said, some programs may be discontinued and new programs may begin. In addition, these programs work together to identify useful information available through their unique information sources and to share that information with their respective partners. Wherever possible, appropriate federal entities coordinate with each other through these programs to ensure that the information they share is timely, actionable, and unique.